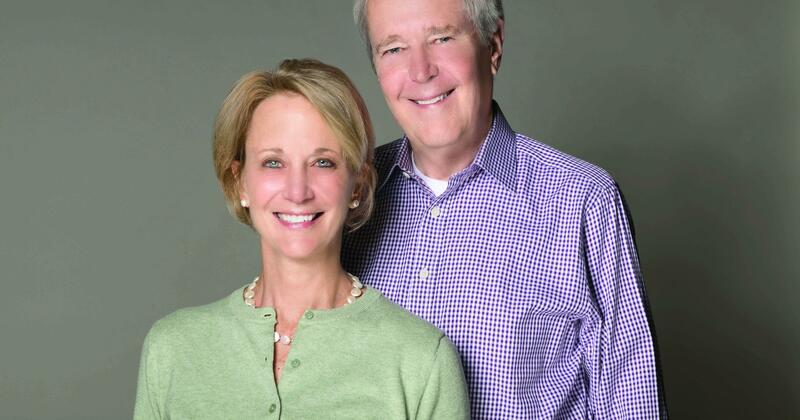 Husband-and-wife duo Deborah and James Fallows toured primarily smaller and mid-sized cities across the country in a Cirrus SR22 single-engine plane in the attempt to unearth a fuller, more nuanced narrative about America. That 100,000-mile journey formed the basis of their best-selling book, Our Towns. More than five decades after John Steinbeck set out to answer the question "What are Americans like today?" in Travels with Charley: In Search of America, James Fallows, in the beginning of 2018's Our Towns, writes: "We began this project with one purpose in mind: we wanted to take a fresh look at the country, its disappointments and its possibilities." James adds: "By the end of our journey, we felt sure of something we had suspected at the beginning: an important part of the face of modern America has slipped from people's view, in a way that makes a big and destructive difference in the country's public and economic life." This project by co-authors and husband-and-wife duo James and Deborah Fallows, a 100,000-mile trek across the country in their Cirrus SR22 single-engine plane over the span of four years, birthed numerous contributions to "City Makers: American Futures Project" for The Atlantic, where they're both national correspondents, and begot the now best-selling book, Our Towns. James' 12th book and Deborah's third, Our Towns sees the Fallows visit and observe more than 20 small to mid-size cities and a few larger ones to find the song of America at the local level in light of the discordant national chorus of divisiveness and disruption. Because of the differences between the national and local narratives being born out in national media, social media, and sometimes even on street corners, it's easy to want to turn a read of Our Towns into a "this-versus-that, us-against-them" experience. While the 2016 Presidential Election amplified America's differing national narratives, it neither encapsulated or resolved them. They were there before and remain with us after, and the differences — along with the challenges and opportunities — remain both locally and nationally. However, what the Fallows find is that beyond squabbling across fractured political lines, at the local level people are working together and getting creative in their quests to make their places better for the people who populate them. These aren't the tales of foreign tribes in far-off lands we'll never know of personally; rather, these are the stories of us, our narratives, that sing more in euphony than cacophony. The Fallows will tell this story — and offer observations they've gathered since they've been on the book tour, re-circling the country — at the concluding event of the Jefferson Educational Society's Global Summit X. No strangers to Erie since Deborah first presented on the modernization of libraries at the Jefferson in July 2016, the Fallows returned shortly after to begin observing the region, with Erie marking the final city amongst their travels and notes in Our Towns. Before their Friday, Nov. 16 appearance to a sold-out crowd at Gannon University's Yehl Ballroom, I had the chance to catch up with the Fallows. We discussed how the road has treated them since the book came out earlier this year, what a tweet from Tom Hanks praising the book meant, and what lies ahead for the American couple ever on the move, and much more. Ben Speggen: So, how is New York treating you? James Fallows: It's actually treating us well. We're here for a couple of reasons, one of which was to close the deal with HBO to do an actual documentary, to which they have given the "green light" to, as we say, down from development to production. That's the main reason we came here, which is fine, but our heart is always in Erie [laughs]. BS: Well that is great to hear, and congratulations on the HBO news, that's fantastic. Do you have a timeline for HBO, when they're going to begin filming? JF: I think the idea is to film this true to film and produce and everything through next year and have it come out in the early summer of 2020. BS: So, in July, the "great American, or greatest American," as you put it on Twitter, Jim, Tom Hanks tweeted a picture of a copy of Our Towns calling the book "the most optimistic stories about America" and suggested he may visit Sioux Falls and Rapid City amongst others. Did you experience a Hanks-bump in book sales in July? Have you had the chance to talk to him about the book? JF: There were two consequences of that. One was a Hanks-bump in book sales for which we are grateful. The other was this newspaper war between Sioux Falls and Rapid City in South Dakota. So there was a full-on war about where Tom Hanks should really go [laughs]. So even TV stations in the Dakotas were feuding over who should have bragging rights to Tom Hanks. We have actually corresponded with him — we have not met him before, except for the silver screen. So it had those effects, and it provides local journalism attention in the Dakotas. BS: Deb, in your opening segment, you wrestle somewhat with how you're supposed to feel having just concluded your 100,000-mile trek. You reference a young Mark Twain's similar grappling following a trip, quoting: "so the idea of coming to a stand-still in a village was not agreeable, but on the contrary depressing." You expound that your ending "didn't feel as sad as Twain's," as he was young and didn't yet then, as you do now, understand that you can craft many more adventures, and that "this ending was, again, another beginning." What has that beginning been like since finishing and publishing the book? What is the new beginning, what does it feel like being on the road in a different sense. DF: When I wrote those particular few lines, I hoped it was true. I hoped that we would have a chance for a new beginning, and since we have been around this block a few times, we have had many new beginnings. After being on the road with this book for the last six months or so, we feel like there has been so much resonance with this message of how important life is and communities, and how much people are doing locally, but it's actually true. It's a really compelling idea for us, and we want to continue amplifying this message as much as we can. Having other people tell similar kinds of stories, and move on to a place where we can have the most impact with this positive message of the country, and help other people feel like they have agency and power and every opportunity to actually make their towns better by connecting with each other. BS: Early in the book, Jim, you note: "We began this project with one purpose in mind: we wanted to take a fresh look at the country, its disappointments and its possibilities." And, you continually draw parallels between today and the times in which Mark Twain and Charles Dudley Warner wrote The Gilded Age. We're not all that far removed from when Our Towns was published, but as you round the country yet again — this time to talk about the book rather than record for it — are you getting a sense that we as a country are farther along in finding ways to match our countries resources to its challenges? In other words, are things any better now than they were when you first set out on the trail? How have your perspectives changed? JF: Well, one is how the two of us — our perspectives have changed — and I think, as Deb said, when we set on this trail five years ago, we were sort of surprised to see these little wisps of people in various places doing what looked like innovative or renewal-oriented efforts and we feel that now there is a genuine phenomenon across the country where our main challenge is trying to keep up with all the people, all the places. As a side note, I was in Pensacola, Fla., Eau Claire, Wis., and Bentonville, Ark. and in different ways, all of those places have ambitious renewal projects underway. In the larger national landscape, I think there are starker contrasts than a year or two ago, between the real bitterness and — in my view — the mistaken course of national politics. Of whipping up what I consider really ill-founded and dangerous sentiment against the inclusive version of America that I've always believed in. Fanning divisions, rather than trying to reduce them. A contrast between that and the intensity of local efforts in lots of places we've seen. My basic view on divisions within society is the potential for them is always there in every society, and the task of leadership is to try to bring people to a better view of things, rather than to a worse view of things. I feel like we're in a period of bringing out the worse side of human potential, and we are impressed by how many local people are pushing the other way. BS: You make a concerted effort to keep the tone and rhetoric of national politics out of the conversations you have with the folks you talked to during your time working on Our Towns. As you're headed back to these places and are speaking on the book tour, is it hard to avoid the topic of national politics, especially in light of the upcoming Nov. 6 midterm elections? Do people want to talk politics more now than then? JF: There are a couple of ways in which the landscape has shifted. One is — we've gone back to check with a lot of people on how their circumstances are different now from what they were two years ago or before the elections. For example, the polling place dispute in Dodge City, Kan. We heard about Dodge City as a place that had a [largely] white, older leadership that was being accommodating to its new Latino majority now. And so we were struck by two weeks ago in the national press that Dodge City had moved its one polling place out of town, presumptively to make it harder for the Latino community to have a place to vote. So we called people there and asked: "What's this about?" And they said this is a county and State of Kansas move involving Kris Kobach, the Secretary of State, and the city's response was what we hoped it would be. The city announced that they would provide door-to-door transportation for any voter who wanted it to the polling place and would do that for early voting too. They put out a statement, from the older, white, business-person mayor, saying "we are proud of what Dodge City is becoming, and we want to recognize that a fundamental right of all of our citizens is a right to vote, etc." So we've seen communities reacting to changes in refugee policy and immigration policy, especially. Some of the other things we wrote about, the public arts, and libraries and things seem not to have changed by the changing policies of national politics. In a few places, and I don't know if this applies in Erie, these "opportunity zones" seem to actually be a plus for some downtown redevelopments. We don't find people saying "well here's what I like or don't like about Donald Trump" because there's essentially nothing new to say on that front, but we see lots and lots of people in "get out the vote" and "make sure we are engaged" operations. BS: As far as "opportunity zones," on Erie's front, we're actually being championed by some as being ahead of the curve in terms of our planning for that — the designating of many sites throughout the downtown region — and our local leadership more or less has worked in a collaborative spirit to continue to push that conversation. It's a really interesting remark on local and state politics, and your friend, David Ignatius, who was just here Monday, Oct. 29, told Erie Times-News' Ron Leonardi in an interview that "local and state government is still in pretty good shape, but the national political system is dead in the water." Do you agree with him? JF: It seems that the extent to which states are being infected by this national mood, my impression is that it varies a lot. There are some states that are in the news for the polarization of their state legislatures and for the voting efforts in particular, and I think Kansas would be probably at the top of that list. It does seem that one structural change that should come out of this election cycle is that secretaries of state should have to recuse themselves from elections in which they are running, with [Brian P.] Kemp of Georgia, and Kobach in Kansas. In a number of other places, what we've heard is that state and local authorities are still able to work together in relatively practical-minded ways. So I think the variety of state experiences is something we have seen, but certainly, there is a trend worth watching of states becoming mini-arenas of the national gladiator fight. That's happening some places and not others and it's part of the variety of circumstances, so we're hoping to learn, once we're back in Erie, about the current state of Pennsylvania state politics, and we guess that redistricting is a very important thing there. So, on our good friend David's metaphor, there are lots of ways you can describe the state of national politics. I find that my images are a little more actively alarming than David's. It's not so much that they're stalled, I think of it more as World War I trench warfare, where it's extremely costly on both sides, and the progress on both sides is measured in inches, and by definition, any inch I gain is an inch you lose. This is not the only time it's happened in US history as you all know, but it's a significant time. So my hope is that the new crop of leaders and the new crop of ideas and experiments that we've been arguing has been happening around the county, that this will, through force of time and the conveyor belt of history, be the ascendant force in American national politics. We don't know that, but that's what we hope will be the case. BS: Have you found as you re-circle the country and visit these new people, are you running into people who say "you got it wrong, and here's the right way, and our interpretation on the town?" Or do you find people just trying to fold into the narrative the things that they're getting right? DF: I think we were really relieved and gratified that we got extremely minimal pushback from people about the way we talked about their towns. There were really just one or two points that were really just points of fact where people were disputing the size of the town, basically around its borders — whether it was the metropolitan area or whether it was the actual city itself. We were very aware that we were visitors in these towns. We really stayed around long enough until we heard the same kind of messages multiple times, and heard the objections to the messages multiple times, that we felt like we were as close to the true story as we could possibly be, in a limited time. It wasn't a first impression, a glance. I think one of the things that helped us was our starting point was that we also grew up in small towns, so there was a lot of the sociology and the sense of belonging to a place that was really familiar to us, so it was terrain that was kind of instinctive to us about how towns operate. Ben Speggen can be contacted at bSpeggen@ErieReader.com, and you can follow him on Twitter @BenSpeggen. Disclosure: The author is under the employ of the Jefferson Educational Society as its Director of Operations. He is also mentioned in the Acknowledgments of Our Towns. A Brief Chat with Senator Bob Casey Jr.